Hello. I understand that many new 6S phones are not yet imported into the Verizon ESN/IMEI whitelist, however I am writing about the iPhone 6. Apple, in lieu of a repair, gave me a refurbished iPhone 6, SIM free, unlocked, model A1586. The iPhone works with ATT and Tmobile, however, with a Verizon SIM card, it shows a signal/LTE for a few brief moments, then goes to No Service. Apple gave me another refurbished unit, same model, thinking that it was an antenna issue. The new unit experiences the same issue. We tried multiple Verizon SIMs with the same issue. Verizon store and tech support have no idea, other than "restore your iPhone" or "it's not a supported phone" despite it being an 'new' and unlocked iPhone. Verizon's own IMEI check online tells me the phone is compatible and ready for activation, so I believe it is already part of the Verizon ESN/IMEI whitelist. Anyone have any idea what the issue might be? It's odd that two brand new, unlocked, SIM free iPhone 6 would both have the same issue. I assume unlocked, SIM free iPhone 6 are allowed on the Verizon network. I just received and activated a SIM-free 6s today on Page Plus, that is a Verizon MVNO. After inserting the PP SIM, like yours, it showed an LTE signal and then went to No Service. I removed the SIM and reinserted it. This time LTE stayed on. The PP CSR changing my account to the new SIM said it was common to have to try two or more insertions. I hope your problem is easily solved, too. Worst case use the sim swap method right? I've tried to insert, remove SIM at least 20 times, and waited up to an hour for it to register. Never works. I've also done a SIM swap as a test. Same issue. Thinking back to mine today, I gave the PP CSR the IMEI and the SIM number for that SIM free 6s, and she said, "One moment as I change the SIM." Makes me think she left the IMEI for my account the same as it was, which as for a Galaxy S4. Hope you and Verizon can get yours figured out! Prepaid Refill said he finds activating the SIM free 6s to be hit or miss for the ones he's dealt with. In the ones who miss, he activates the SIM in another phone and moves it over. What's more disconcerting is that while the 6s might be hit or miss, all the 6 models were white listed by Verizon whether SIM free or not. Puzzling! I've actually tried an activated PP nano SIM too (and also a new unactivated PP nano SIM). "No Service"
Then I called PP, and they said the phone is in the Verizon whitelist, but it doesn't work. Apple, Verizon, PP - noone has any idea. Oddly enough - I left an activated PP nano SIM in the iPhone 6 overnight, and when I woke up, there was LTE on the phone, however with 0 bars of signal. 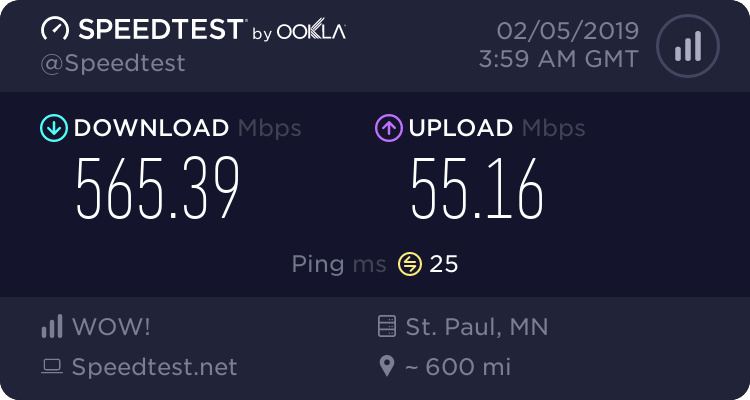 I did a speed test, and LTE speeds are normal. I'm also able to send and receive texts. Voice calls do not go through. I put my Verizon SIM back in, and it goes back to No Service. Did you take it to a Verizon store and have them take a look? Verizon store and tech support have no idea, other than "restore your iPhone"
So, did you restore your iPhone as new, from backup or at not all? Last edited by Doolie; 11-27-2015 at 02:19 PM. Q: Would you patronize a streetwalker? A: No, I would treat her as an equal. My daughter and her husband had a very similar problems with their iPhone 6S phones. Both their 6S phones were purchased in Germany where they have been living for the last 7 years. Both iPhones were factory unlocked. Both phones had been operating normally on Germany. Both roamed in the US on AT&T after they arrived. Thus they were working. We went to the local Verizon store on Sunday. This was a company store. First the rep checked the phone models. They were white listed. The Verizon rep installed new VZW SIMs which both phones read. The phones were activated on the Verizon servers. Both were re-booted. My daughter's phone when it was restarted did not find the cellular network. My son in law's 6S initially found the VZW network but then, minutes later had "no service" They wiped the memories of both phones and restarted them as new phones. The results were the same. We left the store and returned home. Both tried to complete the activation process with out further success. My daughter then called Verizon customer service. They walked her through steps to activate the phones without success. My son in law's phone would find the network for a few minutes and then it was back to "no service". On Monday, they both went back to the Verizon Store and spent over an hour trying to activate the phones. When they left, my son in law's phone appeared to work until they returned home. Then it was back to "no service". On Tuesday, they both went to the Apple Store Genius Bar with me. They VZW rep had said, on Monday, that it was an Apple issue. The genius bar tech rechecked the phones and found that they were the right models. She also discovered that my daughter's phone was still under warranty, whereas my son in law's phone was out of warranty. After checking the SIM cards and finding that they worked, my daughter's phone still did not have a network signal, so they decided to swap her phone for a new one. The problem is now that my son in law's iPhone still doesn't hold the network signal. Apple's tech thought that his phone had an antenna issue. This seems extremely unlikely, since the iPhone worked with the German SIM card and it temporarily receives the VZW network signal, now. In my opinion, the problem may lie within the Apple servers. Does anyone have any idea why a perfectly good iPhone refuses to activate? They wiped the memories of both phones and restarted them as new phones. The results were the same. We left the store and returned home. How did they wipe the memories of both phones at the store? There has been past discussion that even though phones are unlocked, sometimes when purchased from a carrier and not straight from Apple (is this the case?) there can still be some obscure features that are not enabled as a result. So when moving to another carrier, some things may not work as they should. While others may be able to elaborate better, I wonder if this might play a role somehow. It could be dependent on where that particular phone was manufactured. Even though there may be millions with the same model number, there have been slight differences based on which factory the phone came from (that most people would never encounter). Since it is out of warranty, but still the most current model, there is a good chance of selling (Germany recommended so it gets into the hands of someone where it worked best) and getting most of the cost back and then putting that into a phone that comes directly from Apple. The most likely explanation: The difference could be in the bands which are supported by the original phones that were purchased, especially regarding worldwide travel. In your cases from Germany to the United States. For example, there is one model each of the iPhone 6 and iPhone 6 Plus for both T-Mobile and the SIM-free versions. "The T-Mobile variant of the iPhone 6 and iPhone 6 Plus features bands which are more specific to the United States, therefore the handset will work just fine with most 4G LTE networks there." What are all the differences between the iPhone 6 models? Each iPhone 6 model supports 802.11a/b/g/n/ac, and specifically 802.11ac with speeds up to 433 Mbps, as well as Bluetooth 4.0 and GSM/EDGE (850, 900, 1800, 1900 MHz). "In the US, the GSM version of the A1549 iPhone 6 is sold unlocked and without a contract on T-Mobile and it does not support CDMA networks. Apple refers to this model as the "T-Mobile" iPhone 6. Starting on January 6, 2015, Apple also started selling an unlocked version of the A1586 "Global" iPhone 6 in the US, which Apple refers to as the "Unlocked" iPhone 6. Although Apple makes no mention of it, and it is bound by a two-year contract, the iPhone 6 is offered unlocked on Verizon, too. The China Mobile version of the iPhone 6 supports the WCDMA variant of the UMTS standard on the same frequencies as the other models and the same FDD-LTE and TD-LTE bands as the "global" devices, but UMTS and FDD-LTE formally are "only for international roaming" rather than for use within mainland China. For complete details regarding LTE support, it will be necessary to check with specific carrier(s) in a particular location." There is a chance that if you continue to try to bring it to an Apple store to explain the situation, you may luck out with a Genius who is willing to swap the phone out for free even out of warranty. So long as you don't have that particular expectation and are nice and patient about telling your story again. This is also good to know for the rest of us, always best to purchase straight from Apple rather than a carrier to avoid future hassles. Last edited by spire; 12-09-2015 at 12:45 PM. Thank you for the very complete reply. The phone model is A1586, which you have noted above is the model sold by Sprint in the US. It therefore includes all the CDMA, and LTE bands that are on the A1549 which is sold by Verizon, plus the TD-LTE and TD-SCDMA binds used exclusively by China Mobile. This is, consequently the most complete model as far as spectrum range which Apple sells. 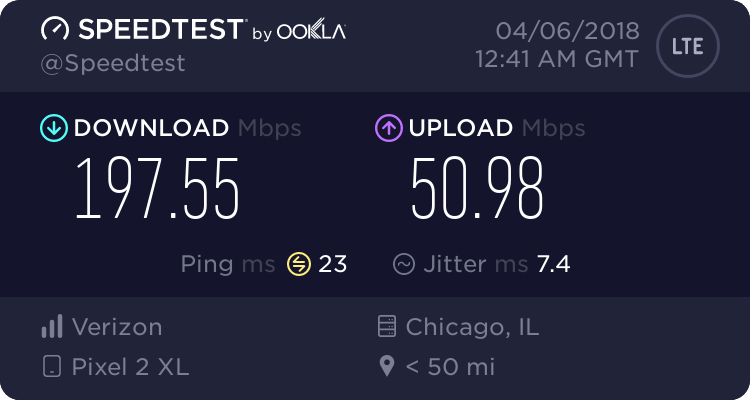 The A1586 should have no issues on the Verizon network (or in fact any other network) based on bands or on the types of service. My daughter and son-in-law confirmed that this particular phone was purchased directly from Apple in Germany, not through a carrier. It has a nano SIM. The strange way this phone will briefly show a Verizon connection and then go to "No Service" indicates to me that (I could be way off on this) that although it is activated properly on the Verizon servers, the VZW servers are checking the Apple servers and not receiving the expected confirmation, at which point, the connection is ended. As I was checking the phone model 5 minutes ago and looking through the Settings menu. I noticed that it briefly indicated Verizon and then went back to "No Service". My daughter called Apple customer service and they have been very helpful. Her phone was an A1586 and the phone that the Apple Store replaced it with (under warranty) is also an A1586. Therefore, we had two A1586s sold by Apple in Germany which could not be made to work normally on the VZW network by the Verizon Store (company, not franchise), Verizon Customer Service, the Apple Store Genius Bar, or (so far) Apple Customer service. Swapping my daughter's Apple (Germany) sold A1586 for a seemingly identical Apple (US) A1586 solved the problem for her. My son-in-law's Apple (Germany) sold A1586 is still not functioning on the VZW network on a continuous basis. The just checked the German SIM and the phone re-boots normally and roams on the AT&T network. It is back now with the VZW SIM. By using the Settings menu. So if AT&T works where they need it, why not just go and buy a StraightTalk activation kit? $45 will give them 5GB of data and unlimited Talk/Text.. or they can do Cricket and get 10GB each for $105 both phones. They already own them, why take them into Verizon and have them pay more? Outgoing calls not working on Verizon in Redwood Valley (Mendocino County), CA. Hands-free button is not working on Touch Pro 2. What am I missing?